Gifting is hard. Winter people are simple creatures. Let’s simplify things with a hit list of what to get your favorite skier or boarder in your life. This is a no brainer. You’re walking out the door like keys, wallet, cell, flask. Second nature. WHAT?! Mind blown I know. This is some James Bond double agent type of stuff we’re dealing with here. Look no further, here you go. Whats better than a gallon of Fireball? 3 gallons of Fireball. Smart move would be to incorporate this gift with the flask. Normal people would call this cinnamon. Classic stocking stuffer here. These come in “handy” when the Polar Vortex takes over your local ski resort and all you have are the hand warmers at the bottom of your boot bag that are hard as rocks. Pro tip: they keep your phone from turning off in the cold. So you’ve got some deep pockets eh? Good for you. Now your kids/significant others/parents/dogs/whoever can get that awesome footy they’ve been missing out on their entire skiing lives. These things are basically goggle wipes that double as trail maps. Now you can clean your foggy lenses off and not look like a foreign tourist while holding up a paper map the size of Rhode Island. C’mon. You know you want it. Everyone wants it. It’s lit. 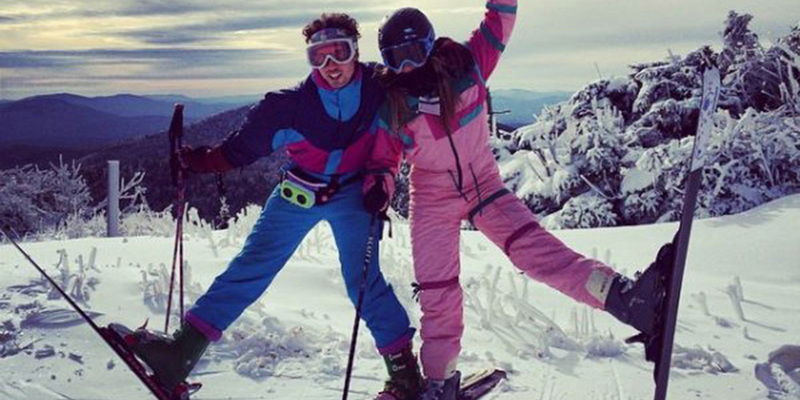 You may not be the best skier on the mountain but you could be the best looking skier on the mountain. Lets face it. You’re going to yardsale at some point this season. Wouldn’t it be nice if when your phone ends up in a stream or off a cliff you don’t have to instantly replace it? Maybe the most homeless gift on the list, class it up with a koozie for unparalleled temperature regulation. Everyone knows there is no substitute to parking lot tailgates. When spring time rolls around you want your loved one to be more prepared than everyone else to heat up some wieners. You might not even have to pay real human money for one of these! Just head down to Grandma and Grandpa’s creepy basement and start digging around. Once you find one just dust it off and wrap that bad boy up. 20 years is WELL beyond the statute of limitations for re-gifting.